Christmas crafts are a great way to keep your kids busy and happy on their winter break! Develop their creativity and motor-skills as they Doodle away at these projects. Parents are encouraged to join in on the fun. All you need is your 3Doodler Start pen, some plastic filaments, and the stencils for each project. 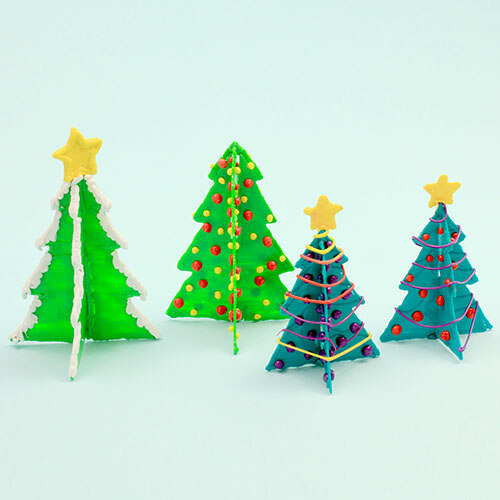 Make these adorable mini trees to decorate your mantelpiece or dining table. Print out this Christmas Tree Stencil and follow the video tutorial below to make your own set of trees in minutes! Add tiny ornaments to dress it up any way you like. Add a loop on top of the tree to thread a string through, and hang it up as an ornament. this stencil, trace over it with your 3Doodler Start pen, add a loop to one end and thread a ribbon through. Hang them up to give your home that beautiful wintery vibe. 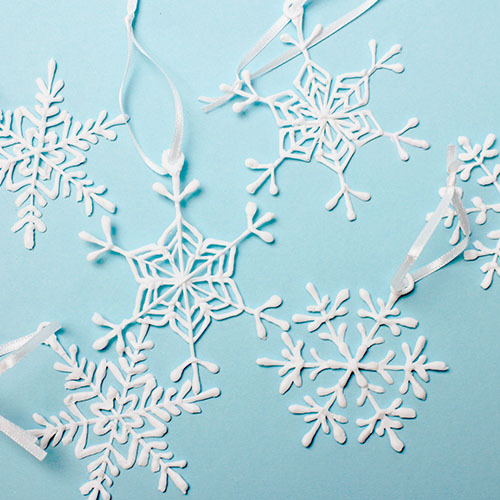 Draw your own snowflake stencils to make each one unique. Add a heartwarming touch to your Christmas gifts this year with a personalized gift tag! Print this stencil and pick out your loved one’s favorite holiday object (Ginger-bread man, mistletoe, angel, etc. 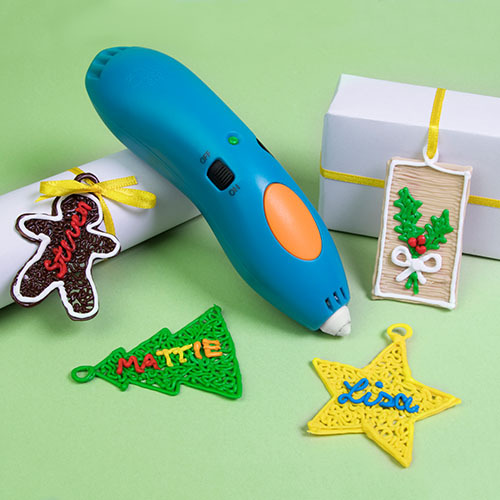 ), outline the shape with your 3Doodler pen, write their name in the center, and Doodle to fill up the rest of the shape. Add a loop to the top of the tag to finish. Hang these name tags on stockings or just write your friend’s name in 3D – you can use this all year round for birthdays, weddings and other gifting occasions. Want more family Holiday craft projects? Check out our blog. Draw in Wood with the Create+ 3D Printing Pen!